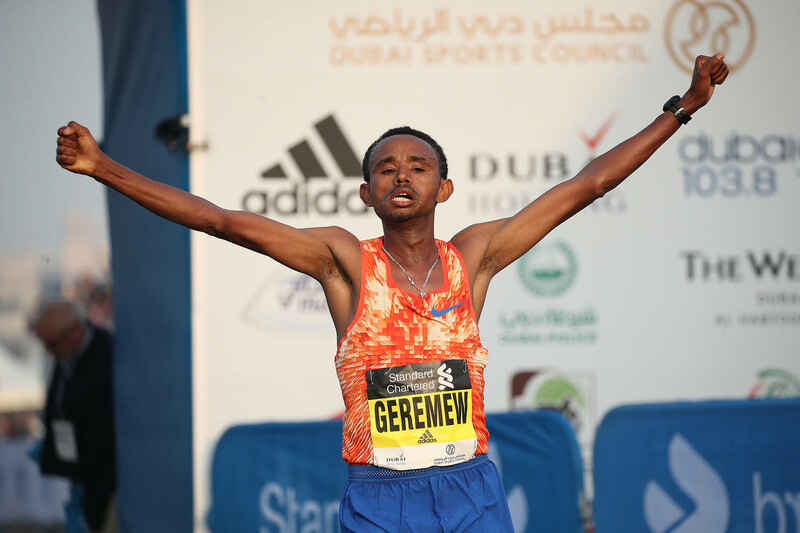 – The end of the men’s race at the 2018 Standard Chartered Dubai Marathon where 6 Ethiopian men sprinted for first – the slowest running 2:04:15. 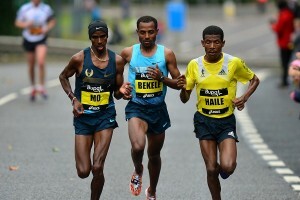 MB: The bar has been rasied: Ethiopia just had 7 men under 2:04:45 and 6 women 2:20:45 or better in one race. Mary Keitany to use MALE pacemakers at London Marathon! Down goes WR?! 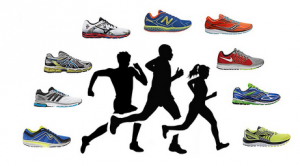 Has the 4% lost a race to a non-4% shoe? Two Time NCAA Decathlon Champion Lindon Victor Talks About The High And Lows From His Career High was setting the NCAA record, the low happened at 2017 Worlds. 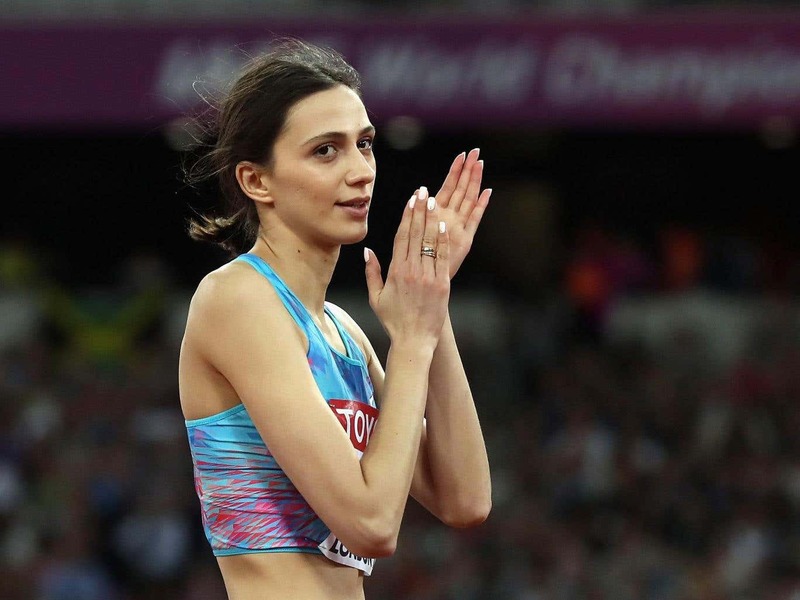 World Champ And WR Holder Barbora Spotakova To Miss The 2018 Season As She Is Expecting Her Second Child Spotakova says she still plans to return for the 2020 Olympics. February 3: Germany’s World Javelin Champ Johannes Vetter Will Open His Season In Offenburg He’ll face his domestic rival and Olympic champ Thomas Rohler. 22 North Koreans To Compete At Pyeongchang 2018 They will compete in hockey, figure skating, short-track speed skating, cross-country skiing and alpine skiing. 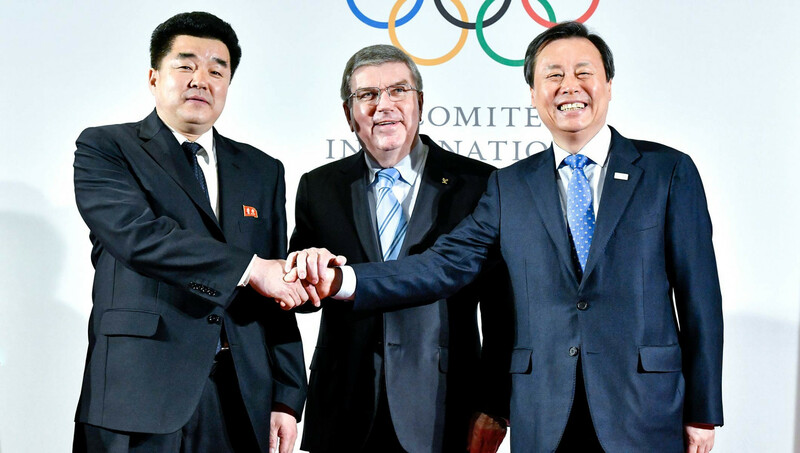 IOC Approves Joint Korean Team For Opening Ceremony And Women’s Hockey This despite objections from the South Korean coach who feels it will damage her players. Good Read: InsideTheGames’ Nick Butler: “Thomas Bach Shouldn’t Start Clearing A Place In His Trophy Cabinet For The Nobel Peace Prize Quite Yet” Butler writes that Bach’s opening remarks on the unified Korean team on at a recent press conference “produced a collective wave of nausea” in the media room. USA Today: Neither North Nor South Korea Want Defections During The Olympics South Korea normally encourages North Koreans to defect, but wants to avoid confrontation during such a sensitive time. Exploratory Committee Claims Future Winter Olympics In Salt Lake City Could Cost Less Than 2002 Costs will be reduced because many of the 2002 venues have been well maintained. Former Pyeongchang 2018 Minister Jailed For Two Years She was jailed for her part in the blacklisting of artists critical of the former president’s government. Getting Started Early: There’s Going To Be A Documentary On High School Pole Vault Star Mondo Duplantis This is a 4-minute clip from the Reno National PV Summit two weekends ago. 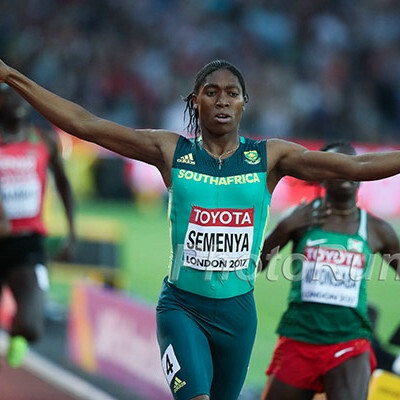 Sergey Bubka Warns Against Changes That May Put Athletes At Risk Last year the IAAF changed time given to athletes to make an attempt in the PV from 60 seconds to 30 to speed up the meet, but Bubka and Renaud Lavillenie have argued it’s not safe for athletes. LRC Shadrack Kipchirchir Runs 7:42 In Boston As The LetsRun.com Singlet Breaks 8:00 For The First Time In his first 3k in 5 years, Kipchirchir, the third fastest American ever at 10,000, ran the second-best 3,000 in the world since the start of 2017. Had the rabbiting been better, he might have run even faster. MB UW 5k: Kejelch and Rupp go 1-2 and run 13:34 They did it as a workout switching off the lead. NXN Runner-Up Brodey Hasty Going For Sub-4 At The Dr. Sander Invy On Saturday He’ll be in the pro race with Craig Engels, Brannon Kidder and Pat Casey. Hasty has a PR of 4:01.75. CAS Starting Hearing Appeals For 39 Russian Athletes DQed From Sochi 2014 And Banned From All Future Games The hearings are expected to continue through Friday or Saturday with a final decision coming between the 29th and February 2nd. Two Russian Figure Skaters Barred From Winter Games Also five Russian men’s hockey players. The Guardian‘s Sean Ingle: “Maria Sharapova’s Reception A Reminder Of Indifference To Doping” He should watch Justin Gatlin‘s reception and say that there is complete indifference. NY Times: How Many Russian Athletes Will Get to Compete in the Winter Olympics? Good Read: SPIKES Profile Catching Up With Former NCAA Indoor Mile Champ Kaela Edwards, Who Is Now Part Of Emma Coburn’s Group In Boulder Edwards talks about how she visited Boulder and stayed in Coburn and Joe Bosshard‘s house when she hadn’t even met them before. Former NCAA Champ And Jamaican Olympian Natoya Goule Ran A World-Leading 1:59.86 At The Clemson Invite Goule crushed her 2:01.64 indoor PR, although she has previously broken 2:00 outdoors. MB: Emma Coburn runs fastest mile ever in Colorado – 4:38.08 at 7,771 feet no less! February 3: Iceland’s Anita Hinriksdottir Shooting To Break Her Own National 800m Record At The RIG Games In Iceland At this meet last year, Hinriksdottir set a national indoor 800m record of 2:01.18. Florida’s Grant Holloway And Georgia’s Keturah Orji Are NCAA DI Athletes Of The Week Orji broke the NCAA and American TJ record (14.32m) while Holloway ran the 3rd-fastest 60H in NCAA history (7.49). Florida Men Stay A Dominant #1 In The First Regular Season National Rankings Georgia and Texas A&M are 2-3. The Oregon Women Top The First Regular Season NCAA Rankings Arkansas and Georgia are ranked 2-3. 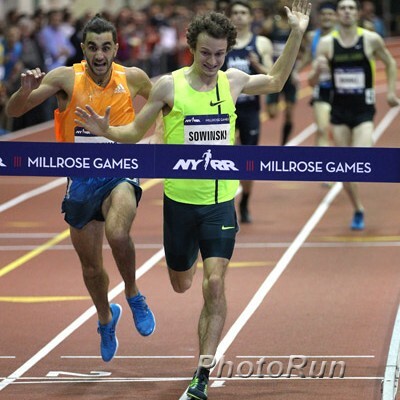 Register-Guard: Ducks Have Plenty Of Options For Dr. Sander Relay Meet At The Armory This Weekend Last year the Oregon women broke the NCAA DMR record at this meet while the men ran an NCAA-leading time. April 22: Tirunesh Dibaba Will Return To The 2018 London Marathon Dibaba was runner-up last year with 2:17:56, making her the third fastest all-time. 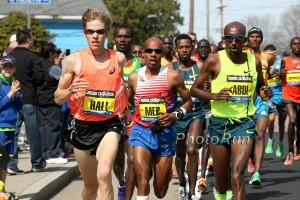 Marathon debut record holder Guye Adola (2:03:46) and Stanley Biwott (2:03:51) were announced for the men’s race. February 4: RRW: Norway’s European Marathon Record Holder Sondre Nordstad Moen To Run Napoli City Half Marathon The 59:48 man is using the race as a tune-up for March’s World Half Champs. February 8: Genzebe Dibaba And World Silver Medalist Adam Kszczot Will Highlight The Madrid Indoor Meeting Dibaba is in the 1,500 against former world indoor silver medalist Axumawit Embaye and Poland’s European champ Angelika Cichocka. Kszczot is in the 800 against former world champ Mohamed Aman. Can XC Be Edgy? The IAAF Says It Wants To Move Cross-Country In A “More Extreme, Edgier” Direction To Attract New Audiences It’s anyone’s guess what that actually means. 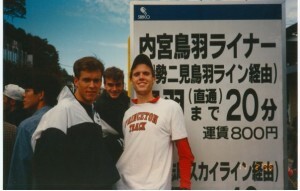 Does the IAAF even know? 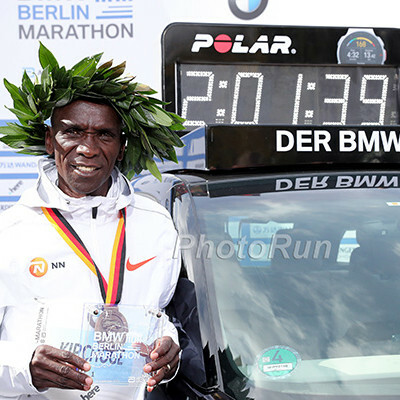 February 25: Wilson Kipsang Will Defend His Title And Meseret Defar Will Make Her Marathon Debut At Tokyo 2018 Kipsang faces Dickson Chumba and former Dubai winners Tesfaye Abera and Tsegaye Mekonnen while the women’s race has 2015 world silver medalist Helah Kiprop, Berlin runner-up Ruti Aga, Paris Marathon champ Purity Rionoripo and USA’s world bronze medalist Amy Cragg. 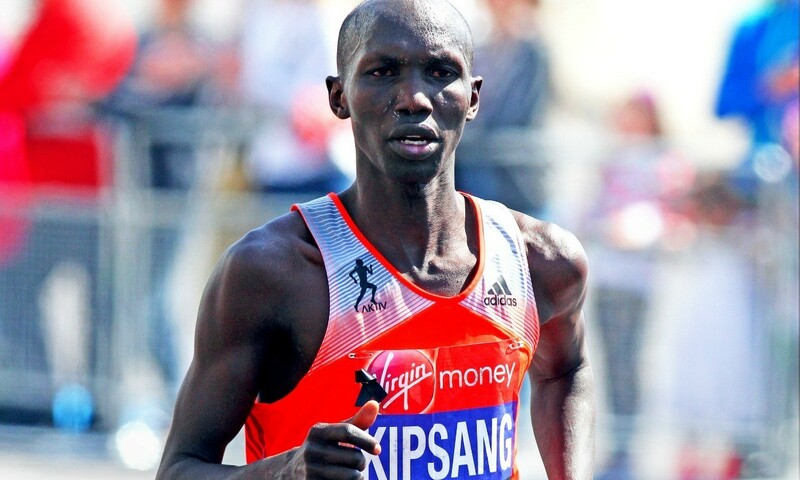 *This Article Says Kipsang Will Be Going For The WR In Tokyo Last year Kipsang won in an Asian all-comers’ record of 2:03:58.